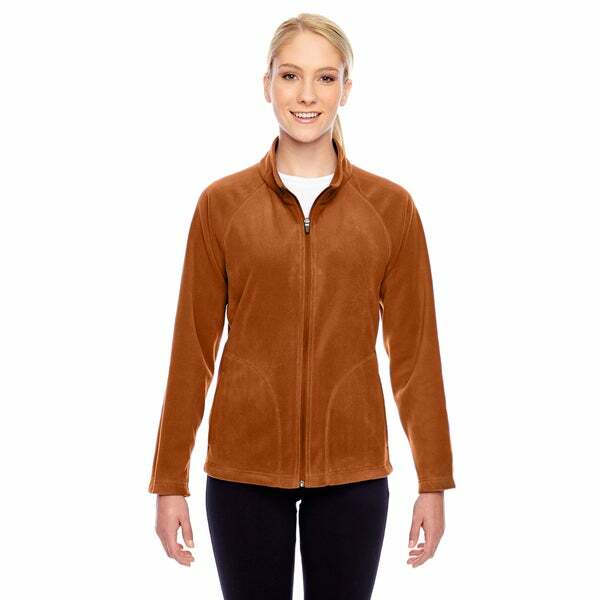 Stay comfortable while remaining chic with this 100-percent polyester microfleece. The anti-pill finish and triple-needle coverstitch at the sleeves and pockets protect the material, making it durable for long-term use. The coil zipper features a semi-autolock rubber pull tab that keeps the zipper in place for easy wear.